Are you planning a fundraiser to support your business, organization or community? Whether you're raising money for a nonprofit, increasing awareness about a cause or building an organization, planning a successful fundraiser is a great way to gain public awareness and get the funding you need for your project — but only when you go about it the right way. Fundraising can be time-consuming, complex and even expensive if you're not careful, so knowing how to organize a fundraiser to attract attention and bring in more money than you spend is key. 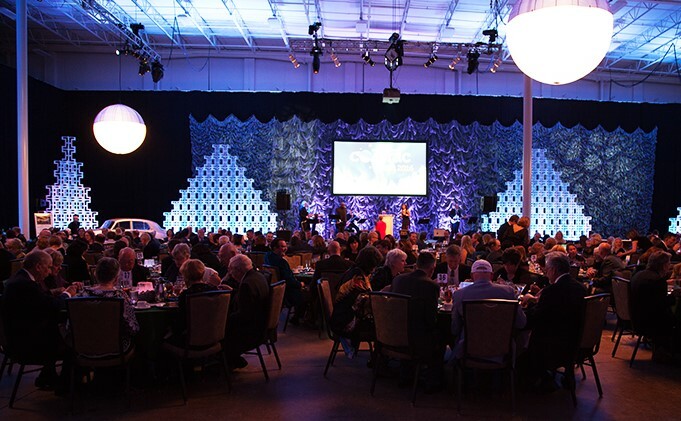 Here are out top fundraising event planning tips to ensure your efforts are successful. When you begin your fundraising endeavor, it's essential to be explicit about its purpose — not only to the public but also to yourself and those assisting in your coordination. Whether you're trying to raise more money to build a school playground, looking for funds to help someone afford a medical bill or donating the proceeds to a cause, be clear about the purpose of your fundraiser to give both you and the public a stronger drive. Knowing your goal will also help you work out the specific details of your fundraiser. When you're set on the goal of your fundraiser and the ends you hope to achieve, set a financial goal. How much money would you like to raise to support that charity? How much do you need to build that playground? Whatever your aim, set a specific number to work toward on fundraising day — whether it's a personal goal or something you share as part of your fundraising campaign, visualizing a set goal will make it more likely to reach. The whole point of planning a successful fundraiser is to raise money, so it's essential to make sure you're taking in more than you're spending. You still want your event to have all the necessary features and amenities to make it enjoyable — including things like invitations, entertainment, and catering — but be mindful of your budget to ensure you end the day with a profit. If you're looking for that extra touch to elevate your fundraiser, think about appointing a host committee to help you persuade attendees to donate to your cause or organization. This could be a spokesperson for your charity or a chairperson of the organization. It's important for people to understand the nature of the cause before they decide to donate, and a host committee can help with that. When your fundraiser is over, don't forget to show your appreciation to all that participated by making a thank-you gesture to your attendees, staff, donors and anyone else who contributed. Offering your gratitude with thank-you notes or gifts will show your sincerity and make a positive impression — so the next time you host a fundraiser, people will be even more likely to donate. When you're looking for the best event space to organize an effective fundraiser, there's no setting more inspiring or suitable than Nook Meetings & Events. With 700,000 square feet of event space, 135 on-site rooms, space for up to 10,000 people and a variety of incredible amenities including dining, and access to the nation's largest indoor sports complex, Nook Meetings & Events offers unique, flexible spaces for intimate to large-scale events. Learn more about planning your custom fundraising event and see what makes us so unique.